Preheat oven to 180°C. Place the quinoa, flour, sugar, mixed spice and baking powder in a large bowl and mix to combine. Add the yoghurt, oil, eggs and vanilla and mix until just combined. 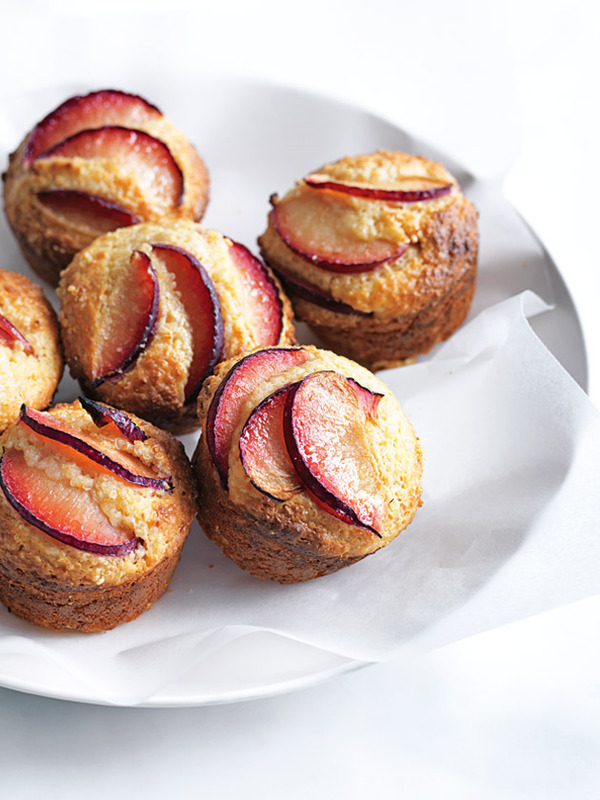 Divide the mixture between a 12 x ½-cup-capacity (125ml) lightly greased muffin tin and top with the plum. Cook for 20 minutes or until cooked when tested with a skewer. Allow to cool for 5 minutes in the tin before turning out onto a wire rack to cool completely. Makes 12. + To cook the quinoa, place ⅓ cup (70g) white quinoa in a small saucepan with ¾ cup (180ml) water. Bring to the boil, cover with a lid, reduce heat to low and cook for 10 minutes. Remove from heat and set aside for 5 minutes.